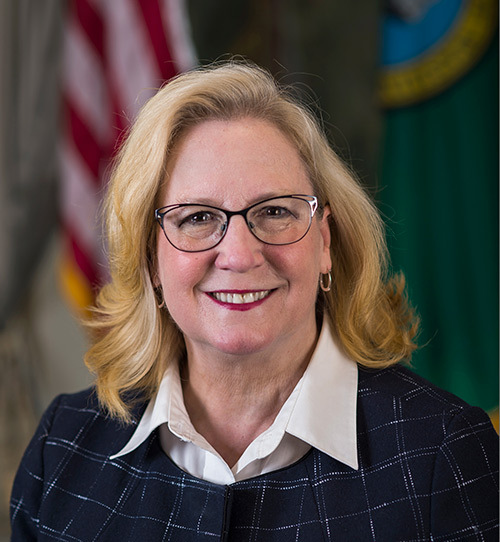 Pat McCarthy is the 11th Washington State Auditor, and became the first woman elected to the position when she took the oath of office in 2017. Previously, Pat was twice elected Pierce County Executive; she is also the first woman to hold that role. Over more than 30 years of her public service career, Pat has served as Pierce County Auditor and Deputy Auditor, and Board President for the Tacoma School District. As State Auditor, Pat is responsible for the entirety of the State Auditor’s Office (SAO). She leads 400 employees based in 15 offices across the state. Pat is dedicated to shining a brighter light on government operations for the public, because she believes audits increase public trust in government. Under her leadership, SAO’s vision and mission is to increase trust in government through independent and transparent audits of state and local governments, and to help these governments develop strategies to become more efficient and effective. Over the past three decades, Pat has dedicated herself to building her community into a better place by bringing integrity, innovation, and quality to government through a deep understanding of how local government operates and the needs of communities. In 2010, she was honored with the Key award for her commitment to open, transparent, and accountable government by the Washington Coalition for Open Government (WCOG). Pat received her B.A. from the University of Washington, Tacoma. She lives with her husband, Judge John McCarthy, in Tacoma. Pat has four adult children and nine grandchildren. Pat was first elected as Pierce County Executive in 2009, and again in 2013. In this role, Pat managed daily operations of the state’s second-largest county, which employs 3,000 employees and has an annual budget of more than $900 million. Her role included serving as chair of Sound Transit and president of the Puget Sound Regional Council. Pat was elected as Pierce County Auditor twice, first in 2002 and again in 2006. In this position, she oversaw elections, licensing and recording services. In 2006, Pat was named County Auditor of the Year by Secretary of State Sam Reed. Pat served for 12 years on the Tacoma School Board, including two terms as President, after being elected in 1987. While in this role, Pat led the effort to create the first public school of the arts in Washington. And from 1991 to 1998, Pat served as the administrator and advisor for the Interdisciplinary Arts and Sciences Program at the University of Washington Tacoma.